Are you facing these struggles in your career? Will I be able to advance in my career? Will my skills become irrelevant to my job? Will I still have a job in the next few years? With an uncertain job market, these are some very real concerns on the minds of every Professionals, Managers and Executives (PMEs). 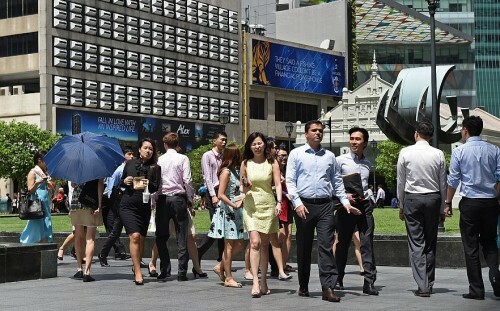 In 2015, data released by the Ministry of Manpower (MOM) showed that PMETs were hardest hit as they made up 71 per cent of Singaporeans and permanent residents who lost their jobs. And there could be more possible redundancies as Singapore’s economy continues to experience its weakest growth since 2009. The good news is that PMEs can take concrete action to overcome structural shifts that lead to shorter product cycles and faster technological changes and increase their employability. Here’s how. Concern#1: Are my skills becoming irrelevant? With the ever faster technological advances and improvements that increase efficiency, the skills that are required for a job are constantly evolving even as industries adapt to on-going changes. This is an inevitable occurrence, says Mr Patrick Tay, Assistant Secretary-General and Director of Professionals, Managers and Executive Unit of the National Trades Union Congress (NTUC). Jobs that can be robotised, digitised or mechanised will disappear eventually. This is not confined to any one sector such as manufacturing alone, but across all industries as technology becomes increasingly integrated into daily life. NTUC offers a wide range of programmes to equip workers with skills that will bode well for career development. NTUC LearningHub has a host of workshops that address industry specific topics such as Strategic Human Resource Analytics and Reporting, Investigative Interview Techniques Course for the Security industry and Social & Digital Marketing. NTUC’s partnership with various industry associations has resulted in career and skill progression plans that are sector-specific. For example, through a partnership between the NTUC U Associate and The Institution of Engineers, Singapore (IES), PMEs in engineering can benefit from the Young Engineers Leadership Programme and the Advanced Engineers Leadership Programme. With four new professional guilds having joined the programme earlier this year and more to come, the Labour Movement is strengthening its network of unions and 32 professional associations and partners to give PMEs the most opportunities for sector-relevant training. Another initiative NTUC has is the U Future Leaders Summit, a symposium that equips PMEs with the tools to be future leaders in their industries and stay ahead in an increasingly competitive workforce. Concern#2: Will I be able to advance in my career? With the shrinking job market and the extension of the re-employment age to 67, PMEs often find themselves stuck in the unenviable position of having attained skills and experience that are befitting of a higher position, yet unable to move up the career ladder. Often, there are no vacancies at the management level or the company cannot retain the individual due to mismatched expectations in monetary compensation or job satisfaction. If your current job is not working out for you, explore within your company for other job roles that could maximize your potential. “If there isn’t really anything available, do explore the various openings across companies in the same industry,” advises Mr Tay. If the above options do not work out, looking to a different sector may be the answer. Two sectors that are looking to attract talents are the construction and manufacturing industries, particularly in terms of engineering jobs. Mr Er Chong Kee Sen, Immediate Past President of The Institution of Engineers, Singapore, says this is because there are many large government infrastructural projects in the pipeline. Projects include the Changi East Development that encompasses Changi Airport Terminal 5, the Republic of Singapore Armed Forces Changi Airbase, and the Jurong Lake District that will combine work, stay and play and house the upcoming Singapore-Kuala Lumpur High Speed Rail. Concern#3: Will I still have a job in the next few years? A mindset that is willing to embrace change and adapt to changes is vital to help you remain employable. Mr Tay shared this tip to help PMEs survive unforeseen upheavals in their industries: Stay Ready, Relevant and Resilient. Staying resilient will see you through uncertain times and help you bounce back if you run into any problems. Staying relevant will help you outlast others and stay employable, and staying ready will put you in good stead to stay ahead of the pack and go further in your career when the opportune moment arrives. Be future-ready. Find out more at the U Future Leaders Summit 2016 (Jul) happening at the STJobs Career & Development Fair 2016. This article was first published in BrandInsider on Jun 1, 2016.